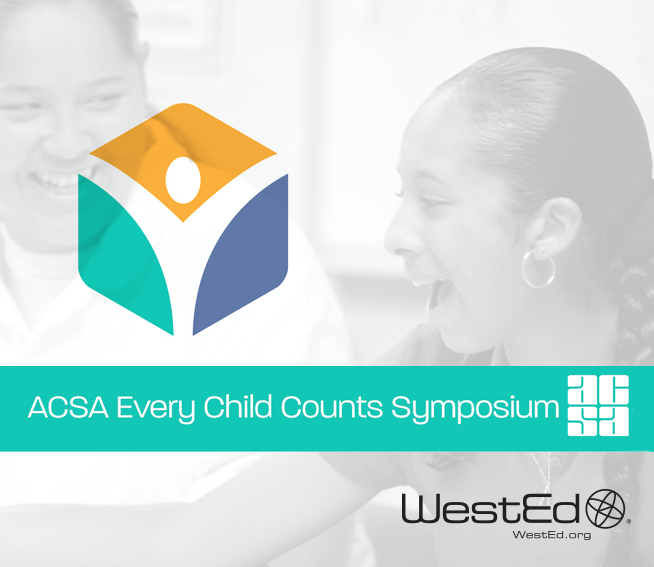 Join WestEd staff at the ACSA Every Child Counts Symposium, February 13 through 15, 2019, at the Anaheim Marriott Hotel in Anaheim, California. The Symposium focuses on the latest in the field of student services and special education. Sara Doutre and Tye Ripma of the Center for Prevention & Early Intervention will lead the session, Leveraging Federal Funds for Student Success, on Thursday, February 14, 2:15pm – 3:45pm, in Elite 2. In California, millions of dollars enter the school system each year for special education and related services under the Individuals with Disabilities Education Act and federal title programs. While earmarked for specific purposes, misconceptions about allowable use of these federal dollars often limit a district’s ability to leverage the funds to improve student outcomes. Add our session to your calendar, and be sure to visit the WestEd booth to learn about our resources, services, and research.